When hiring a Realtor, he or she can select the right property that meets your needs or complete a comparative market analysis (CMA) to determine what your home is worth. Your Realtor has the ability to produce detailed information on properties that meet your criteria via the Multiple Listing Service (MLS). When choosing to buy or sell a property on your own, your choices will be limited as you are unable to view the biggest search engine in real estate, the MLS. When buyers and sellers search through websites such as Trulia or Zillow, your search results will not be up to date and you are likely to inquire on a property that is either already under contract or has already sold. Many people believe that working without a Realtor when purchasing or selling a property saves them money. However, in most cases, the seller pays for the real estate commission for the sale of a home, not the buyer. Therefore, it can only benefit you as the buyer to have a Realtor work for you to find the right property. Make you feel comfortable and confident when searching for properties or discussing the sale of your home? Does he or she specialize in areas where you live, or want to live? Have you checked their references and reviews? Does your Realtor inform you of new listings that fit your criteria? Is the MLS search set up to only look at properties that may be of interest to you? Is your Realtor available 24/7 and always accessible to show you properties quickly? Does your Realtor keep you informed of the current market in your neighborhood? Does your Realtor have an MLS search set up to view current comparables in your area? Are they patient and looking out for your best interest? Please note: Only real estate licensees who are members of the National Association of Realtors are properly called Realtors. Realtors are required to abide by a strict code of ethics and maintain a high level of knowledge of the process of buying or selling real estate. They are required to treat all parties to a transaction honestly. 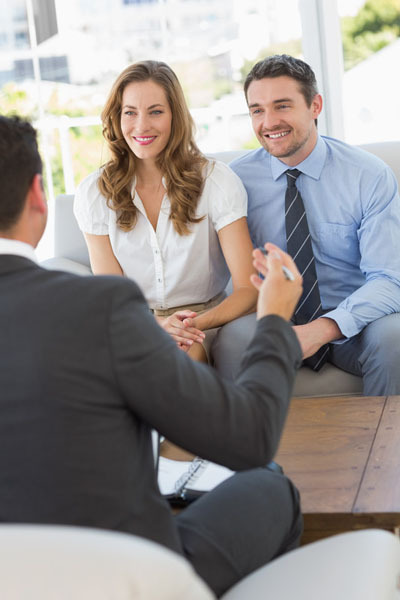 For these reasons, it is imperative to choose a Real Estate Broker who is also a Realtor® to represent you during the buying process. Wenzel Select Properties is a real estate company specializing in selling a home, buying a home and renting a home. We are located at 4941 Main Street, Downers Grove, Illinois 60515. Our real estate brokers have clients from Downers Grove, Darien, Willowbrook, Lisle, Oak Brook, Lombard, Westmont, Woodridge, Glen Ellyn, Burr Ridge, Hinsdale, as well as other Chicago locations. Call a Wenzel Select Properties Real Estate Boker at (630) 430-4790.